WHATS NEW AT SMALL SPACE? 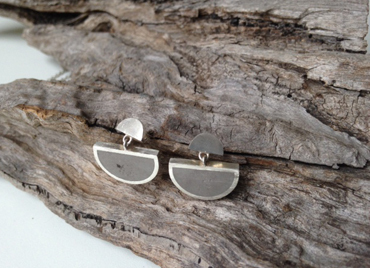 New work by local jeweller Sarah Wallace. In the window now at Small Space, so even if we are closed you will still be able to take a peek. 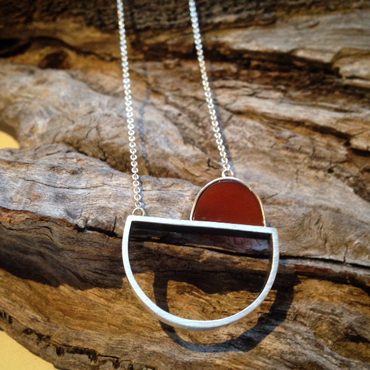 Sarah is inspired by architecture, industrial spaces and concrete. She combines these elements to produce thoughtful pieces that sit comfortably with nature. Pay us a visit to try on some of these lovely pieces. Small Space is open Wednesday to Friday 10 to 6 and Saturday 10 to 4.